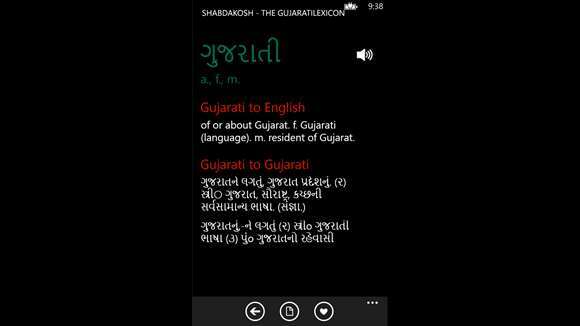 Shabdakosh is an offline, fast and easy Gujarati Dictionary app. 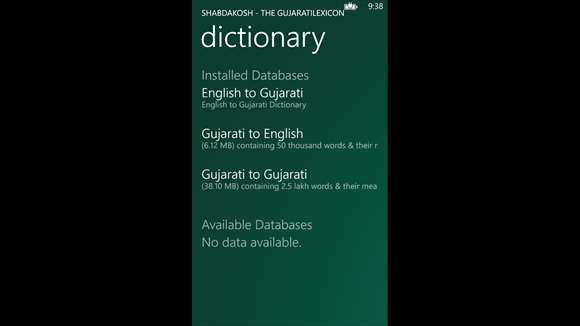 The perfect Gujarati Dictionary with tons of Gujarati Meanings presented from Gujaratilexicon - The Most Comprehensive Gujarati Language Resources. It contains more than 85,000 words and their meanings. 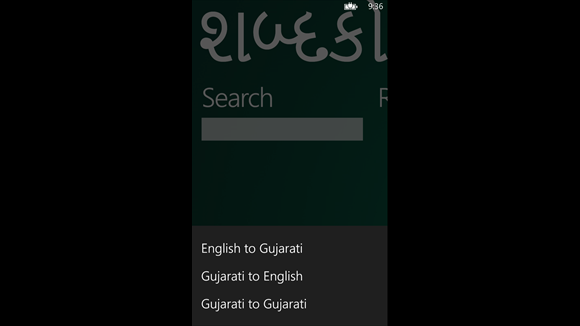 We have kept the app clean and simple, having precise definitions for each and every word. 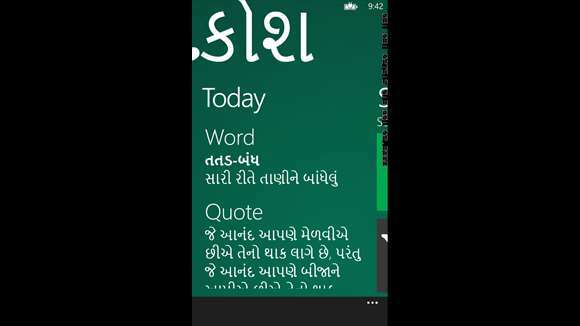 Get this dictionary app for your Windows Phone today! We have received many requests for these exciting features, today we are proud to release this new version of the app! 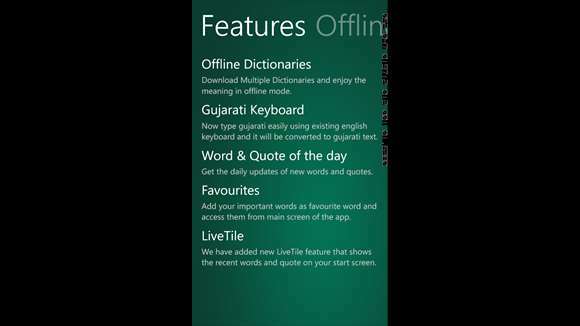 - Download Dictionaries offline and enjoy the meaning on the go. Get this dictionary app for your phone today!